It's key strength and reason for its popularity is its step-by-step, practical approach, especially with the use of outstanding colour artwork to illustrate the right and wrong ways to perform endoscopy. Add to this the weight and expertise of its author team, led by Peter Cotton and Christopher Williams, and the final result is an essential tool for all gastroenterologists and endoscopists, particularly trainees looking to improve their endoscopic technique. 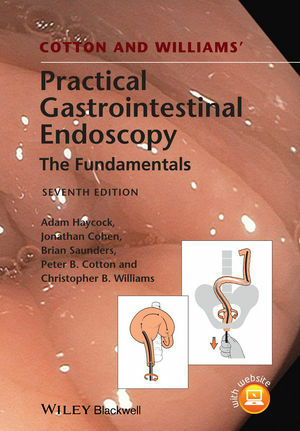 Cotton and Williams' Practical Gastrointestinal Endoscopy, seventh edition is fully modernised, masterful as ever, and once again, the number one endoscopy manual for a whole new generation of gastroenterologists and endoscopists.